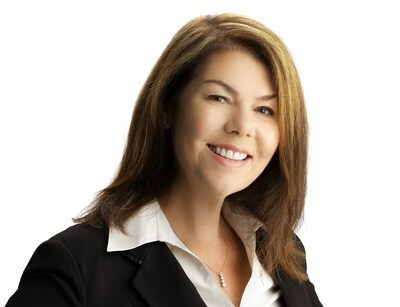 CHARLESTON, S.C., April 11, 2019 /PRNewswire/ -- Blackbaud (NASDAQ: BLKB), the world's leading cloud software company powering social good, today announced that Mary Beth Westmoreland, the company's chief technology officer, has been named one of the 2019 Top 50 Most Powerful Women in Technology by the National Diversity Council (NDC). This distinctive list of female executives, influencers and achievers who impact the technology industry recognizes women who are molding the future of technology with their insight and leadership. Westmoreland, who was also named to the list in 2017, accepted the award today at the National Diversity and Leadership Conference in Dallas, Texas. "I'm humbled and honored to be recognized by the National Diversity Council as part of this distinguished group of women technology leaders," said Westmoreland. "But this is by no means an individual award—I share this recognition once again with the talented engineers, designers, product managers, architects and everyone on our Blackbaud technology team. I am passionate about investing in women to help accelerate their career paths and encouraging girls and women to pursue fulfilling careers in STEM fields." The Top 50 Most Powerful Women in Technology are leaders in their organizations and profession who directly contribute to business growth or the strategic direction of their organizations, serve as active mentors and effective role models who inspire other women, operate with the highest integrity and ethical behavior and demonstrate a commitment to corporate citizenship. Westmoreland, who has more than 30 years of experience in software engineering, has served as chief technology officer at Blackbaud since 2015. In this role, she is responsible for leading Blackbaud's worldwide product, technology and analytics strategy, as well as user experience across the company's entire solution portfolio, including the company's Blackbaud Labs incubation team. Before joining Blackbaud in 2008, Westmoreland served as vice president of Research and Development at Ipswitch, Inc., where she led software engineering, design and operations across the company's global product portfolio. Previously, he spent 15 years at the Savannah River National Laboratory, where she started as a programmer and eventually managed the company's Enterprise and Technical Systems Engineering organizations. Westmoreland is a trustee at her alma mater, Immaculata University, where she graduated with a degree in Mathematics and Physics. She is also a member of the advisory board of Clemson University's College of Engineering, Computing and Applied Sciences, a board member of Charleston Women in Tech and is actively involved in a variety of STEM programs and women in technology initiatives. She lives in Charleston, South Carolina, with her husband, Wayne, and son, Ryan. Blackbaud (NASDAQ: BLKB) is the world's leading cloud software company powering social good. Serving the entire social good community—nonprofits, foundations, companies, education institutions, healthcare organizations and individual change agents—Blackbaud connects and empowers organizations to increase their impact through cloud software, services, expertise, and data intelligence. The Blackbaud portfolio is tailored to the unique needs of vertical markets, with solutions for fundraising and CRM, marketing, advocacy, peer-to-peer fundraising, corporate social responsibility, school management, ticketing, grantmaking, financial management, payment processing, and analytics. Serving the industry for more than three decades, Blackbaud is headquartered in Charleston, South Carolina, and has operations in the United States, Australia, Canada and the United Kingdom. For more information, visit www.blackbaud.com or follow us on Twitter, LinkedIn, and Facebook. Except for historical information, all of the statements, expectations, and assumptions contained in this news release are forward-looking statements that involve a number of risks and uncertainties, including statements regarding expected benefits of products and product features. Although Blackbaud attempts to be accurate in making these forward-looking statements, it is possible that future circumstances might differ from the assumptions on which such statements are based. In addition, other important factors that could cause results to differ materially include the following: general economic risks; uncertainty regarding increased business and renewals from existing customers; continued success in sales growth; management of integration of acquired companies and other risks associated with acquisitions; risks associated with successful implementation of multiple integrated software products; the ability to attract and retain key personnel; risks associated with management of growth; lengthy sales and implementation cycles, particularly in larger organization; technological changes that make our products and services less competitive; and the other risk factors set forth from time to time in the SEC filings for Blackbaud, copies of which are available free of charge at the SEC's website at www.sec.gov or upon request from Blackbaud's investor relations department. All Blackbaud product names appearing herein are trademarks or registered trademarks of Blackbaud, Inc.